We wish to express our thanks for the continued commitment of our Board of Directors whose tireless support of Maryville’s staff and programs enables us to serve over 2,500 children and families each year. Our Board of Directors is the critical resource which has ensured over 130 years of success. With their continuous investments in Maryville, we are rebuilding lives, rekindling spirits and renewing hope. Thank you for your dedication to the children and families of Maryville! Mr. Richard Devine served as the Cook County State’s Attorney from 1996 until 2008, where he established that office’s Domestic Violence Unit. He is a former president of the Chicago Park District. Mr. Devine is currently a member of the law firm of Meckler, Bulger, Tilson, Marick Pearson, LLP, and heads up the litigation department of its Chicago office. Beginning in 2009, he serves as a Distinguished Adjunct Professor of Law at Loyola University Chicago. He holds a B.A. degree from Loyola University Chicago and a J.D. degree from Northwestern University School of Law. Mr. Andrew Lotts is a certified public accountant with the accounting firm CJBS, which he joined in 1994. Mr. Lotts was made partner in 2002. He is the managing partner of the firm’s audit division, providing comprehensive audits and consulting to small and mid-size not-for-profit clients, service and manufacturing clients, the leasing industry, and employee benefit plan compliance. Mr. Lotts is a member of the American Institute of Certified Public Accountants and the Illinois CPA Society. He holds a B.A. in business administration from the University of Iowa. Mr. Rick Velasquez has served Chicago area youth and families on behalf of Youth Outreach Services (YOS) since 1975 and has been its Executive Director since 1999. Trained as a social worker, he has focused his career in the areas of juvenile justice, adolescent behavioral health, child welfare services and public policy. In addition to his work with YOS, Velasquez is a gubernatorial appointee to the Illinois Department of Juvenile Justice Advisory Board the Illinois Juvenile Justice Commission. He is a member of the Redeploy Illinois Oversight Board to develop alternatives to incarceration of minors. Mr. Velasquez holds a Masters of Social Work from the Jane Addams College of Social Work at the University of Illinois at Chicago and a Bachelor of Arts in psychology from Northeastern Illinois University. Reverend Monsignor Boland serves as Administrator of Catholic Charities of the Archdiocese of Chicago, Director of Human Services for the Archdiocese, and as a member of Cardinal George’s cabinet. He is a member of the Board of Directors for Misericordia Home, Shelters for the Homeless, Catholic Charities, and the Department of Social Services of Chicago. Rev. Msgr. Boland holds a B.S. from St. Xavier University, a B.S in Sacred Theology and M. Div. from the University of St. Mary of the Lake, and an M.S.W. from Loyola University. Ms. Alvarez began her legal career in the Cook County State’s Attorney’s Office where she remained for 30 years. She began as an assistant state’s attorney in the Criminal Division, rising to Chief Deputy Assistant State’s Attorney. She was elected the Cook County State’s Attorney in 2008. 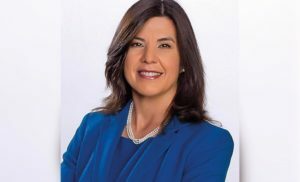 As Cook County State’s Attorney, Ms. Alvarez wrote and instituted the Illinois Safe Children’s Act which enhanced existing criminal codes to better safeguard children from being forced into prostitution and strengthened the fight against human trafficking. She expanded the Alternative Prosecution and Sentencing Courts Program to remove some defendants from the traditional docket and place them in specialized programs to address specific needs like substance abuse and mental health. She is a former ambassador for the Human Rights First organization and a board member for Prosecutors Against Gun Violence. She is a graduate of Loyola University and Chicago-Kent College of Law. Mr. David A. Bonoma is a partner in the Chicago office of Linebarger Goggan Blair & Sampson LLP, a national law firm that focuses on representation of government sector clients. Mr. Bonoma began his legal career at Phelan, Pope & John, Ltd. in 1988 and went on to work at Shefsky, Froelich & Devine, Ltd. and Greenburg Traurig, LLP, where he was a shareholder in the firm’s government group. In 2005, David left Greenberg Traurig to co-found his own government relations law firm, Reyes & Bonoma, Ltd. In addition to his private sector experience, David has held several public sector positions. From 1997-2003, he was an Assistant State’s Attorney in Cook County where he served as Chief of Staff to Cook County State’s Attorney Richard A. Devine. He also served as a member of the Cook County Officers Electoral Board (1997–2001), the Attorney General’s Council on Firearms and School Safety (2000), and the State’s Attorney’s Juvenile Competency Commission (2001-2002). In 2010, he was appointed to the Illinois Employment Security Board of Review by former Governor Pat Quinn where he served until 2013. David earned his undergraduate degree at Marquette University in 1985 and his J.D. from Loyola University Chicago School of Law in 1988. He is a proud alum of St. Ignatius College Prep in Chicago. Ms. Coolidge recently joined UBS Financial Services Inc. as Managing Director and Head of the Public Finance Central Region. She began her career in the public finance industry more than 28 years ago, working her way from an institutional bond salesperson at a local bank to head of the Capital Markets Public Finance Group for the Chicago office at PNC in February 2013. She has served as lead banker and underwritten over $30 billion of tax-exempt securities for such issuers as the State of Illinois, State of Ohio, State of Wisconsin, State of Indiana, State of Michigan, Cook County, City of Chicago, and City of Milwaukee, to name a few. Most recently, Ms. Coolidge has served as senior managing underwriter for two Chicago Public Schools deals in 2014, and two Chicago Water deals, one in 2014 and the other in 2016. Ms. Coolidge also served as senior managing underwriter for a State of Wisconsin COPs deal in 2016. All of these senior managed transactions marked the first time that PNC served as senior managing underwriter for each of these clients. Since 2014, Ms. Coolidge and her team have served as senior managing underwriter on over $1.6 billion in par. Ms. Coolidge also served as the lead banker on the groundbreaking Chicago Housing Authority Capital Program Revenue Bonds, Series 2001. This transaction marked the first time that a local housing authority was able to sell highly rated, tax-exempt bonds, backed solely by the federal grants that the Authority received from HUD. This financing set the framework for future financings of this nature and was awarded the inaugural “Deal of the Year” by The Bond Buyer in December 2002. Ms. Coolidge is a lifelong resident of the City of Chicago. She currently resides with her husband and three children in the Edgebrook neighborhood on Chicago’s Northwest Side. She received her B.A. from the University of Illinois-Urbana on a General Assembly Scholarship. Bill Fitzpatrick is a chartered financial analyst and an equity analyst for Manulife Asset Management. He is a member of the board of directors for the CFA Society of Chicago whose mission is to promote the highest standard of ethics, education and professional excellence. He is also a member of the Irish Angels, a group that funds startup companies with an officer or an investor who graduated from Notre Dame. He holds a B.S. in finance from Villanova University and an M.B.A. from the University of Notre Dame’s Mendoza College of Business. Bill lives in the Old Town neighborhood of Chicago. Mr. Louis J. Glunz III is the founder of Regis Technologies, Inc. which provides organic services for the pharmaceutical industry and manufactures chromatography products. He serves as a member of the Board of Directors for Catholic Charities of the Archdiocese of Chicago and is a member of Loyola University’s Council of Regents. Mr. Glunz is on the Board of Advisors for the College of Arts and Sciences at Loyola. He holds a B.S. degree from Loyola University Chicago and a Doctorate from the University of Notre Dame. Mr. Michael P. Golden is a co-founder of @properties, a real estate brokerage firm. Formerly, he was an independent real estate broker, and served as manager of human resources at Encyclopedia Britannica, and as a benefits consultant for Hewitt Associates in Connecticut. Mr. Golden served as president of the Chicago Association of Realtors from 2007 to 2008. He holds a B.A. with a double major in philosophy and economics from Bates College in Lewiston, Maine. Mr. Mike McPhilliamy has been a vice president of sales with Planview, Inc., since 2002 and brings with him over 30 years’ experience in business development. He was a founding member of the 20/30 Club of Chicago. Mike also served as a parish council member at Our Lady of Perpetual Health parish in Glenview, Ill., where he lives with his wife and four children. He is a graduate of the University of Arizona with a B.S. in marketing. Mr. Sean Madden is the president of Madden Communications, based in west suburban Wood Dale. Besides producing Maryville’s annual report and calendar, Madden also focuses on in-store marketing for companies like MillerCoors Brewing Company, Mike’s Hard Lemonade and Pabst Brewing Company. He is also involved as a director in the Evans Scholars Foundation, which provides college scholarships to golf caddies based on grades, leadership and work ethic. Besides his interest in golf, Mr. Madden also is a scuba diver, a fisherman and a guitar player and likes rock, folk and Celtic music. Mr. Madden and his family have been long-time supporters of Maryville; his father, John Madden, served for many years as chairman of the board. A Graduate of Loyola Academy, and Xavier University, Mr. Madden lives in Evanston, about two miles from where he was born. He and his wife Jo Ellen have three sons: Michael, 23, Will, 22 and John, 19. Mr. Michael Munro has been a friend to the children of Maryville for over two decades. Mr. Munro, a longtime colleague of Juan Espejo, director of the Maryville Golf Program, owned the White Pines Golf Dome in Bensenville for 23 years until he sold it two years ago. He welcomed the children at his facility for over two decades. On a part-time basis, Mr. Munro is the managing partner of Green Street Grille, a new Bensenville restaurant and is associate publisher of the Chicagoland Golf newspaper. Previously, he was a multinational bank examiner for the Federal Reserve Bank of Chicago. For over 20 years, Mr. Munro served on the board and was past president at the Neumann Family Services Agency in Chicago. He has an MBA/Finance from Illinois State University. Ms. Peggy Osterman is an attorney who works as legal counsel for McDonald’s Corporation. From 2006 to 2016, she was a lawyer in the firm Schuyler Roche and Crisham, P.C., specializing in labor and employment law. In that capacity she worked with Maryville on labor and employment issues. Ms. Osterman graduated from Creighton University with a B.A. and received her J.D. from Georgetown University Law Center in 2002. Ms. Osterman is married to Harry Osterman, Chicago’s 48th ward alderman. They have three children and reside in St. Gertrude’s parish in Chicago. Ms. Agnes Piszczek formerly served as Administrator of the Illinois Department of Child and Family Services Juvenile Court Liaison Unit. She is an active supporter of Loyola University Chicago and a former member of its Women’s Board, a member of Catholic Charities’ Board of Directors, and served as President of the Loyola University School of Social Work Alumni Board. She is a graduate of St. Mary of the Woods College and holds an M.S.W. from Loyola University. Bishop Reverend George Rassas is the Auxiliary Bishop of the Archdiocese of Chicago. He was ordained as a priest in May of 1968 and ordained as a bishop in 2006 at Holy Name Cathedral in Chicago. Prior to joining the Archdiocesan offices in Chicago, he was the pastor of St. Mary Parish in Lake Forest from 1990 to 2004. Raised in Winnetka, he was the Vicar General of the Chicago Archdiocese from 2004 to 2006. Bishop Rassas holds a Bachelor’s degree from St. Mary of the Lake Seminary in Mundelein and a Master’s degree from Loyola University of Chicago in counseling psychology. Formerly he has served as associate director of the Catholic Family Consultation Service and later as director of the Office for Family Ministries. He is also a founding member of the new St. Martin de Porres High School in Waukegan, Illinois. Mr. George Rourke is retired as CEO and President of Venterra Sales and Management Corporation. He spent his entire working career in all facets of the real estate business focusing on real estate development and finance. Formerly, he was an officer of James W Rouse and Company, and Partner and President of North American Golf Corporation. He also serves ad a Director of the Western Golf Association and a member of St. Mary of the Woods Parish Council. Mr. Rourke has been a member of Maryville’s board of directors for 32 years and is former Chair of the board. He is a graduate of DePaul University. Mr. Michael P. Rourke works with the firm @properties and brings to the board 30 years of experience in real estate brokerage and development. He has been involved with Maryville for some 40 years, ever since he helped his father, George, (former chairman and current board member) deliver food to the main campus. A graduate of Southern Methodist University, Mr. Rourke has run the Gleason Cup golf outing for the last 17 years. Since its inception 23 years ago, we have raised more than $1.5 million for Maryville. An avid fisherman and golfer, Mr. Rourke lives in Glenview with his wife Cindy, and children, Patrick, Katie and Emily. 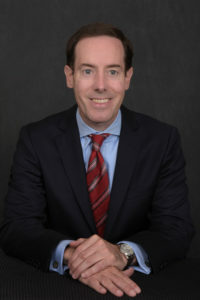 Mr. Patrick Shea has been a trader at the Chicago Board of Trade since 1988, a member of their Arbitration Committee and Floor Governors Committee. He served on the board of directors of the Evanston Golf Club from 2005 to 2007, is on the Friends of Misericordia committee and is a former grade school basketball coach. Mr. Shea graduated from the College of the Holy Cross in Worcester, Massachusetts in 1987. C.R., RN, MSN, MBA, Director, has been a nurse for more than 40 years and has a wealth of experience in both the medical and financial sides of hospital administration. From 1989 to 2011, Sister Donna Marie was the Executive Vice President and CEO of Resurrection Medical Center in Chicago. After graduating from Loyola University of Chicago with her bachelor’s of science degree in nursing in 1971, Sister started as a staff nurse in Resurrection’s intensive care unit. At Resurrection, she worked her way steadily through the administrative ranks at the same time she was earning her Master’s degree in Nursing at Loyola (1975) and later her Master’s in Business Administration from North Park University (1996). She has also been involved in teaching and community service. Among other honors, Sister Donna Marie was the recipient of the Career Achievement Award from the Chicago Health Executives Forum in 2011. Sister Catherine M. Ryan, O.S.F. led the Cook County State’s Attorney’s Juvenile Justice Bureau from 1997 until December 2004. During that time, she worked with State’s Attorney Richard A. Devine to develop a restorative justice approach in juvenile justice. In December 2004, Sr. Ryan was appointed Executive Director of Maryville, a childcare organization that has been serving children and families in Illinois since 1883. She has led Maryville through a comprehensive strategic reorganization and implementation of its programs and operations. Under her leadership, Maryville moves forward in its mission to provide guidance, structure and stability for children, young adults, and their families. Sr. Ryan was born in Davenport, Iowa and raised in Glenview, Illinois. She attended Regina Dominican High School in Wilmette and joined the School Sisters of St. Francis in 1965. She holds a bachelor’s degree in history from Alverno College in Milwaukee, a law degree from Northwestern University and a master’s in business administration from DePaul University. Ms. Cheryl Heyden joined Maryville in 1976. She has a BS in psychology from Elmhurst College and a MSW from the University of Illinois Jane Adams School of Social Work. During her years with Maryville, Ms. Heyden has served in a variety of positions, including: live-in parent at a girls’ home; supervisor of the girls’ diagnostic unit; assistant community director of multi-staff programs; and program director for the Des Plaines Campus and group homes. She was named HR director in 2000 and continued in that position through 2002. In 2004, Ms. Heyden served as special assistant to Charles Walsh, Chairman of Maryville’s Board, and was named Associate Executive Director that same year.